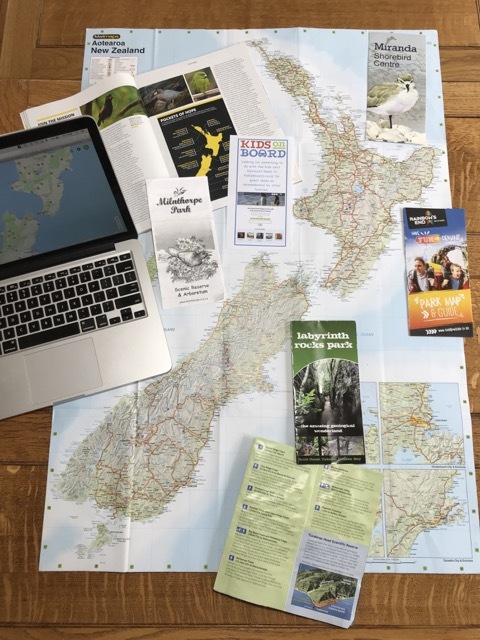 This café is extremely good for lots of reasons and is worth checking out even if you’re not exploring Zealandia – it’s a destination in itself if you’re looking for a place to eat out with your family. Upstairs in the visitor centre, Rata café is light, spacious and incredibly child friendly. There’s a fenced play area for very young kids (probably best suited to sitting babies and toddlers), a stack of kids’ books and colouring in for kids of all ages to do and an extremely good kids’ menu with healthy choices and catering well for those with allergies (they are part of the Coeliac Dining Out Programme). Meals like fish cakes come with salad, banana fritters are gluten free and can be made dairy free too. The main menu and cabinet food give further options for kids and provide adults with a good selection of meals and snacks that also acknowledge different food allergies and preferences like vegetarian/vegan. Some will be glad to know that fries do feature on the main menu so it’s not all completely healthy! 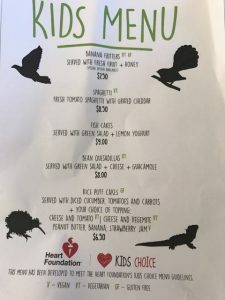 Money made in the café goes back to helping to fund the work that is ongoing at Zealandia so your meal, snack or drink is helping the local wildlife as well! Change tables and high chairs as well as a lift up to the cafe are all available. If you do go for an explore around Zealandia, a fluffy at Rata might be the bribe required to get kids walking back to the exit! Check out the listing on Zealandia here. Address: 53 Waiapu Road, Karori. Approximately 10 minute drive from the city centre but there are also free shuttles travelling from the I-Site on Wakefield Street and the top of the Cable Car on Uplands Road, Kelburn. Karori is also well serviced by public buses from the city centre, although the main road is about 500m from the sanctuary. Check here for routes and timetables. Open: weekdays 9am – 4.30pm weekends 9am – 5pm. These times are subject to change due to functions and/or seasons so it’s worth checking the website.